Dr. Winston Ewert put forward his module hypothesis, but I put forward an alternate module hypothesis at the domain and motif level of proteins. It is based actually on papers by evolutionists who have pointed out that the problem of “Promiscuous Domains” remains an unsolved problem in evolutionary biology. When I put Promiscuous Domains on the table in the Common Design vs. Common Descent thread, the TSZ Darwinists ignored the problem and then declared victory. I viewed their non-response as evidence they didn’t understand the problem and/or preferred to ignore it. Perhaps pictures are worth ten thousand words. 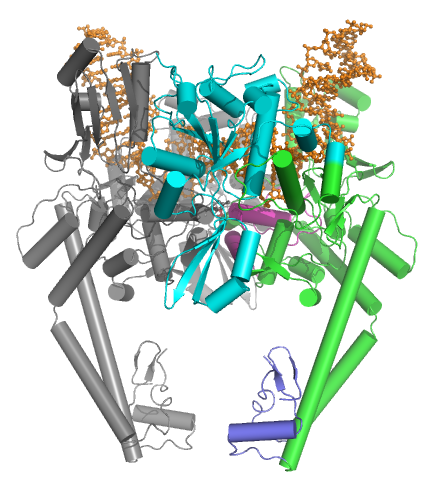 From the NIH, that great source inspiration for the Intelligent Design community, we have the CDART database viewer. From the CDART viewer, I provide a few of the thousands of diagrams that show the promiscuity of protein domains. 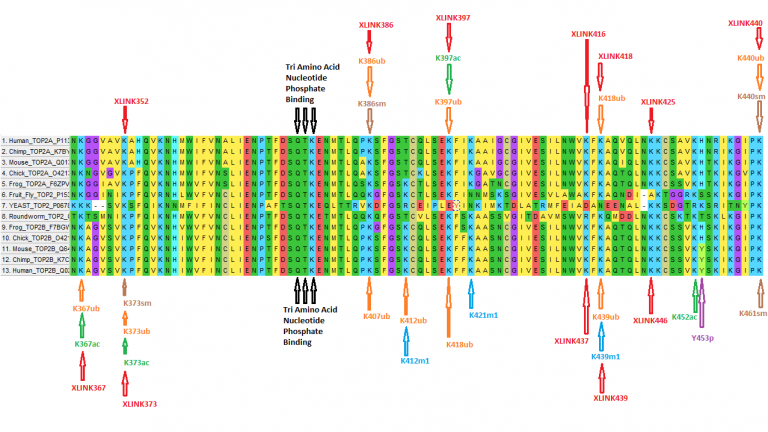 The diagrams below show the classical zinc finger ZF-C2H2 “ZF” domain and the Plextrin Homology “PH” domains. 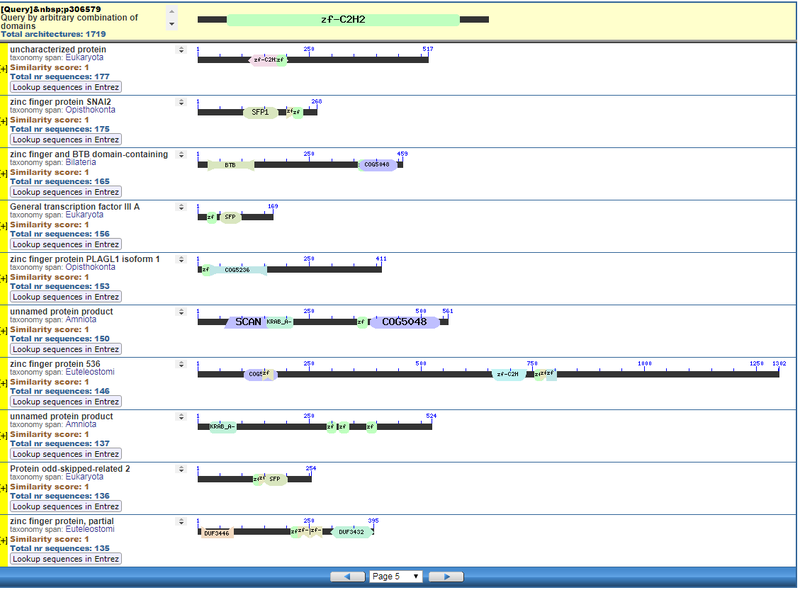 Note how the location of domains is “shuffled” to different locations in different proteins. It’s as if proteins are made by different lego-like parts in different order and position. My preliminary look into small 4-amino acid motifs that are the target of phosphorylating kinases suggests the the problem of promiscuity goes all the way down to small motif levels. Such promiscuity is more consistent with common design than common descent. This entry was posted in Evolution, Intelligent Design, Life Sciences by stcordova. Bookmark the permalink. I find it interesting that these discussions always come down to me explaining my worldview. Why don’t you take some time to insure that your own worldviews were consistent before you made claims that can’t be supported like “The nested hierarchy I see is objective reality”. John Harshman: Am I to suppose by “general revelation” you mean nothing more than “observation of the world”? No observation is what you do. Revelation is what another person does. We have covered this several times. Why are you having such trouble with this simple concept? If I say my wife revealed to me that she likes Chinese food would you conclude that what I mean is that I simply observed my wife and concluded that she likes Chinese food? John Harshman: That seems like nothing more than agreement that all scientific results are provisional, approaching but never attaining absolute certainty and capable of being overturned by future data. That is a very reasonable statement and totally contradicts your claim that the nested hierarchy is objective reality that you “discover”. when you have two beliefs that contradict each other so sharply it’s a clue that one or both of them is incorrect. John Harshman: Have you abandoned your claim that your “gray animal” group is as good as any other? My grey fox, grey squirrel, grey koala bear grouping is better than your chosen grouping when it comes to grouping animals with similar color and climbing habit. I think anyone could see that. The difference is you don’t think the things I chose are as important as things that you think are sufficiently “heritable”. It’s the ability to have that difference of opinion that makes our perspective groupings subjective rather than objective. John Harshman: How do you define “impossibility”? How would we decide that the contrary was impossible in any particular case? I gave you a couple of examples. Suppose I thought a particular object was a circle and a square at the same time and the same respect. The law of non-contradiction means that I am mistaken in that belief because a circle/square is impossible. Incidentally that is the very reason I know that any grouping that is “invented” or “discovered” by humans can’t be objective reality. John Harshman: How would we decide that the contrary was impossible in any particular case? Careful now. He’s close to the edge! fifthmonarchyman: No the more certain a revelation is the more certain it is. It has nothing to do with specificity. For instance I am certain that God loves me individually and died in my place. Yes ,in a general kind of way. Did you need revelation to be certain or would faith have been sufficient? So the Black Death was necessary to impress upon mankind we need to be reliant on God and trust Him. and I would miss out on the greatest joy in my life. Well if uncertainty is what you require there is plenty. fifthmonarchyman: I find it interesting that these discussions always come down to me explaining my worldview. That is because you inject your dogmatic worldview into every discussion, it started with the word objective. Personally ,not really discussing Christianity rather your version of knowledge. Of course for you it is one and the same. fifthmonarchyman: Why don’t you take some time to insure that your own worldviews were consistent before you made claims that can’t be supported like “The nested hierarchy I see is objective reality”. Since you put that in quotes would you mind linking to that claim. I don’t recall anyone saying that, in fact I recall the word provisional being used. Is that the uncertain kind of revelation? fifthmonarchyman: I would not say a “discovery” is the equivalent of being aware of your surroundings. It seems to me to require a more big picture perspective. It is a requirement for discovery,becoming aware of something new in your environment. For you ,it is God making you aware of something new. There is a huge difference between knowing it’s cold outside and “discovering” that temperatures in Maunder Minimum were below the expected normal range due to 4 separate volcanic eruptions in the tropics. First you have know what outside or temperature is, then what normal is ,then what the Maunder Minimum is ,and volcanos and what eruptions are. All thing the need to be discovered before we get to the the possible cause of lower temperatures. Awareness of surroundings leading to discoveries creating a new awareness creating new discovery. Now you seem to equate general revelation with an awareness of the surroundings and the hidden messages, is there huge difference between revelation and discovery? fifthmonarchyman: No observation is what you do. Revelation is what another person does. We have covered this several times. Why are you having such trouble with this simple concept? Am I to suppose by receiving “general revelation” you mean nothing more than “observation of the world”? Yes. How is this helpful? When you say “general revelation”, what do you mean? This statement would imply that it means that God, using the English Language, actually says something to you. If that’s not what it means, your example of your wife is not relevant. Once again: what is “general revelation”? The contradiction is in your mind and is due to your lack of understanding. Yes, that seems to be a problem. It’s true that any random group you make is better at being that random group than some other group is. But you’re the one complaining about circular reasoning? No, that isn’t the difference. The difference is that my preferred group isn’t dependent on picking only two particular characteristics and ignoring all the others. If you just pick a bunch of characters without regard to their support for a particular grouping, and even without regard to their heritability, you will get the standard tree if you include enough characters. I’d say that it’s the inability of your choice to be supported by data that makes it subjective, and the fact that my choice actually has real support that makes it objective. I don’t know what those examples are, and this one is useless too. Is logical self-contradiction the only meaning of “impossibility” you intend? I was finally able to return to work on the Top2 PTMs and interaction sites. This is the next adjacent slide. This is full of PTM, Crosslinks, and a DNA phosphate binding site that involves 3 amino acids. As mentioned, Top2 proteins are life critical as evidenced by the targeting of Top2 a anti-cancer chemotherapies. This one segment shows the complexity of protein machinery, the species and paralog-specific subtleties in function. stcordova: This one segment shows the complexity of protein machinery, the species and paralog-specific subtleties in function. Shame your designer was not capable of making it as functional without the danger of cancer constantly rearing its head. John Harshman: The difference is that my preferred group isn’t dependent on picking only two particular characteristics and ignoring all the others. If you just pick a bunch of characters without regard to their support for a particular grouping, and even without regard to their heritability, you will get the standard tree if you include enough characters. Why not actually try it FMM? Or is doing actual work something that only other people do? 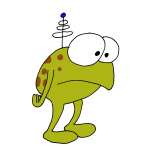 stcordova: I was finally able to return to work on the Top2 PTMs and interaction sites. This is the next adjacent slide. 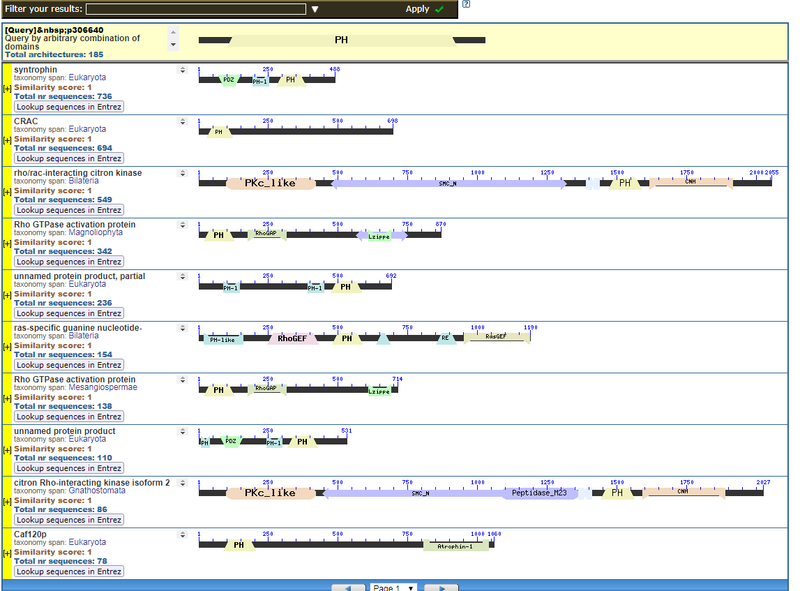 This is full of PTM, Crosslinks, and a DNA phosphate binding site that involves 3 amino acids. One of the sequences in the middle of the diagram stood out to me as being more divergent along it’s length than the others. And then I saw it was from yeast which we share an ancestor with over 1.1 billion years ago. Roundworm and Drosophila was also more divergent, and that’s about 800 million years ago. And so on. The whole thing makes sense on common descent. I hope you are enjoying yourself because nobody else knows where we are supposed to see those “subtleties in function”. I guess they are extremely subtle. 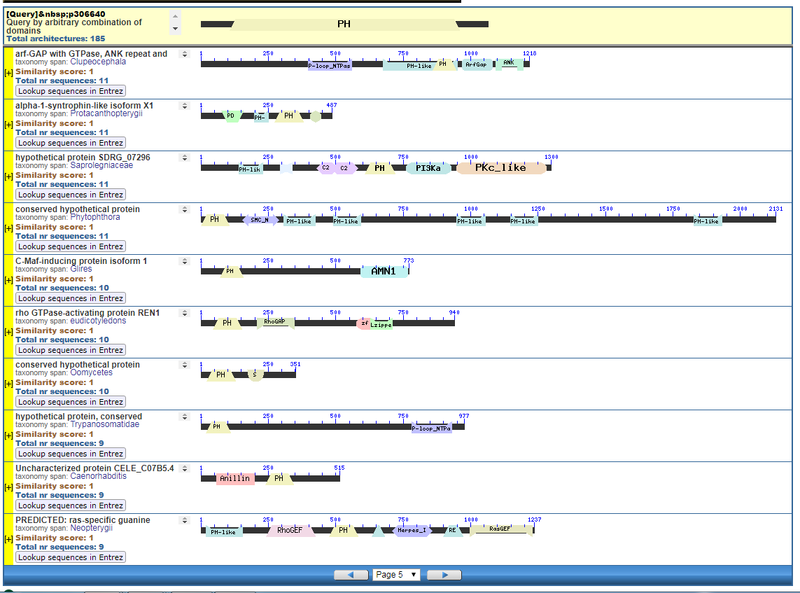 The subtleties of function are species specific PTMs and cross links. In the big Common Design vs. Common Descent thread, one of the not-so-subtle difference of function I pointed out was the glyco-conjugation of Rhodopsin that enable a squid to see! It was in a totally different location than other creatures, not to mention some did not have the glycoconjugation. No one, except me, seemed to appreciate the that such a single amino acid change along with along with the other coordinated changes of glycoconjugation and ability of the optical system to work would entail more than just a random mutation, but rather several simultaneous coordinated changes. We don’t exactly know what the PTMs mean in the Top2 proteins, but since several of them appear in cross link areas, the Sumo modifications are likely tied to creation of crosslinks. However, some of those crosslink sites are Acetylation, Methylation, and Ubiquitination targets as well, so apparently some subtle function is in play, especially if they are different between the isozymes of 2A and 2B. I’m glad you like the colors. I think the PTMs highlight the complexity of the human Top2 enzymes, unless one thinks those PTMs are just random chemical noise. Some objections have been raised by Rumraket regarding Doug Axe’s work and probability arguments, and I actually regard Rumraket’s objections as noteworthy and given my study of beta lactamases from the Conserved Domain Database, Rumraket inspired me to think take a different route than Doug Axe for protein improbability or should I say infeasibility of evolution. The beta-lactamase domain seems nothing near as complex as the composite set of domains involved in Top2, not to mention the PTMs. First off, the crosslinking is important for folding and stability, so the PTMs associated with those appear important. There are also several conserved Magnesium metal binding sites, so those are important. 5. do this in an orderly way with respect to other processes going on, in Eukaryotes there is chromatin remodelling, histones, and then transcription going on, then chromatin modifications! Given these requirements, the annotating visually of the PTMs, functional sites, etc. shows the infeasibility of this machine arising by chance especially since it is critical to DNA replication. It seems also implausible that selection would actually select against non-functioning intermediates to make Top2. On a more general point, Top is itself of a few promiscuous domains, and as I’m trying to suggest, maybe even promiscuous motifs. In view of this, who will inspire the Discovery Institute to finally take notice of TopoIsomerase 2 in this way? NOTE, Topo2 requires Dimers of single Top2A or Top2B to form in humans. So how did evolution anticipate the quatenary structural formation of a complex protein such that the Dimer would work (in contrast Top6 is a tetramer where the monomers are made from two seaprate genes!)? Structure of the 42 KDa fragment of the N-terminal ATPase and transducer domains of DNA gyrase homologous to all other type IIA topoisomerases. Type II topoisomerases cut both strands of the DNA helix simultaneously in order to manage DNA tangles and supercoils. They use the hydrolysis of ATP, unlike Type I topoisomerase. In this process, these enzymes change the linking number of circular DNA by ±2. Type IIA topoisomerases are essential in the separation of entangled daughter strands during replication. This function is believed to be performed by topoisomerase II in eukaryotes and by topoisomerase IV in prokaryotes. Failure to separate these strands leads to cell death. Type IIA topoisomerases have the special ability to relax DNA to a state below that of thermodynamic equilibrium, a feature unlike type IA, IB, and IIB topoisomerases. This ability, known as topology simplification, was first identified by Rybenkov et al. (Science 1997). The hydrolysis of ATP drives this simplification, but a clear molecular mechanism for this simplification is still lacking. Several models to explain this phenomenon have been proposed, including two models that rely on the ability of type IIA topoisomerases to recognize bent DNA duplexes (Vologodskiy, Proceedings of the National Academy of Sciences 1999). Biochemistry, electron microscopy, and recent structures of topoisomerase II bound to DNA reveal that type IIA topoisomerases bind at the apices of DNA, supporting this model. 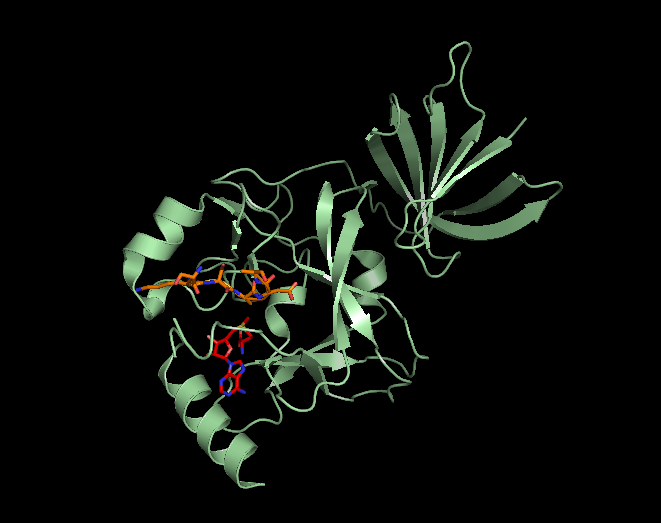 Type IIA topoisomerases consist of several key motifs: an N-terminal GHKL ATPase domain (for gyrase, Hsp, kinase and MutL), a Toprim domain(sometimes called a Rossmann fold), which exists in both type II topoisomerases, type IA topoisomerases, and bacterial primase (DnaG), a central DNA-binding core (which structurally forms a heart-shaped structure), and a variable C-terminal domain. Eukaryotic type II topoisomerases are homodimers (A2), while prokaryotic type II topoisomerases are heterodimers (A2B2). Prokaryotes have the ATPase domain and the Toprim fold on one polypeptide, while the DNA cleavage core and the CTD lies on a second polypeptide. Linking the ATPase domain to the Toprim fold is a helical element known as the transducer domain. Unlike the function of the C-terminal domain of prokaryotic topoisomerases, the function of the C-terminal region of eukaryotic topoisomerase II is still not clear. Studies have suggested that this region is regulated by phosphorylation and this modulates topoisomerase activity, however more research needs to be done to investigate this. This is the caption from wiki for the picture below. Structure of yeast topoisomerase II bound to a doubly nicked 34-mer duplex DNA (PDB ID =2RGR). The Toprim fold is colored cyan; the DNA is colored orange; the HTH is colored magenta; and the C-gate is colored purple. Notice that the DNA is bent by ~160 degrees through an invariant isoleucine (Ile833 in yeast). It looks as if all you do is get very exited by the complexity existing within some organism’s post-translational modifications (PTMs), and then make up an impossibility claim based on nothing else, but the requirement of some modification in a particular organism. That tells nothing about whether such complexity could or could not have evolved Sal. It just tells me that you see the complexity and stop thinking to avoid figuring out a potential non-magic-required answer. You keep fixated on that “either random or magic” false dichotomy. Again, there’s something called selection, and there’s three subsets with everything in-between: negative selection, neutral, and positive selection. Those three are very helpful in understanding how something that’s a requirement in a particular case, could evolve in steps involving one or two cases of such selection types. Neutral evolution seems rather important in understanding complexity. For example, a mutation producing a target for PTM can get fixed by mere accident (neutral evolution), but become important after secondary mutations. Then negative selection would keep that crappy requirement for squids to be able to see. Complexity for free. OMagain: Shame your designer was not capable of making it as functional without the danger of cancer constantly rearing its head. Death and sickness is the way the Designer tells his creation “you are mere mortals, you are not God!” Apparently you’re not getting the message since you think you, a mere mortal, can do business better than God. I guess mortality is God’s way of feeding the human race humble pie. Now, that may not seem so nice, but the Old Testament God is not nice, neither is the New Testament God who sends people to hell. That tells nothing about whether such complexity could or could not have evolved Sal. Sure it does. The absence of such complexity in this case, topoisomerase, leads to cell death, dead cells can’t evolve. End of story. stcordova: The subtleties of function are species specific PTMs and cross links. Posttranslational modifications and crosslinks qualify as functions in your book? Huh! stcordova: [..] one of the not-so-subtle difference of function I pointed out was the glyco-conjugation of Rhodopsin that enable a squid to see! stcordova: I think the PTMs highlight the complexity of the human Top2 enzymes, unless one thinks those PTMs are just random chemical noise. To resonate with a sentiment expressed earlier in this thread: When is a theory not much more than just mere assertions? Until you show otherwise, there is no reason to assume that all PTMs serve some function. If you want to argue that some of those modifications modify enzymatic activity or serve as signals, then please support that claim. stcordova: Given these requirements, the annotating visually of the PTMs, functional sites, etc. shows the infeasibility of this machine arising by chance especially since it is critical to DNA replication. Sal, you were talking about inter- and intraspecies variation. What exactly are the “subtleties of function” of those topoisomerases? Why is that variation tolerated in such a supposedly highly constrained molecule? stcordova: Top is itself of a few promiscuous domains, and as I’m trying to suggest, maybe even promiscuous motifs. So you mentioned posttranslational modifcations, crosslinking, DNA topoisomerase, rhodopsin in squids, resistance to antibiotics, and domain versatility. I note that you happily continue with protein dimers. Now is a good time to remind you that you have been accused of responding to requests for clarification by piling up more and more claims. Now you know why. Now regarding the PTMs, it is worth pointing something out. 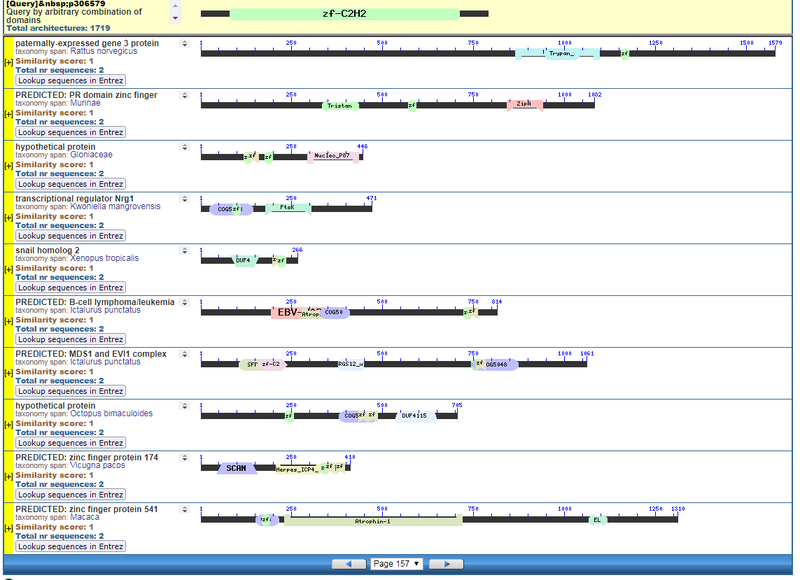 As one can see, Top2 is chock full of PTMs, and many of them have specific machines which work at specific time in the cell phase and developmental phase. What are some of those machines? Kinases, acetyl transferases, methyl transferases, ubiquitins, small ubiquitin like (sumo), etc. But these are big machines (say about 30% the sice of Top2) that have to dock with Top2. This is somewhat like a big robot having to thread a needle. The constraint is that Top2 has to be shaped to allow this sort of docking and the machines that dock with them have to be shaped to dock where they dock. This is a constraint on the evolutionary infeasibility of evolving Top2 features by random mutation. How can promiscuous domains evolve that will allow proper docking and undocking of these machine? Of course, one can say, “we don’t know how it evolved, but we believe it did because of the nested-hierarchical patterns.” Well, I showed and intelligent designer can easily make nested hierarchical patterns, and if a system is mechanically unevolvable, then the nested-hierarchical patter is by design, not by descent. Here, is a picture, btw of an methyl transferase. Can you envision how it will dock with the Top2 in the right spot on Top2 to effect a methylation? And what is the machinery that times when the methyl transferase will interact with Top2? No one knows yet! Posttranslational modifications and crosslinks qualify as functions in your book? stcordova: Yes. You have a problem with that? Sounds odd to me . Like saying that wheels are a function of a car. Such a nice guy. I suppose that if you had five kids, you would kill one of them just to show the others they weren’t so special. Nice break from the series of “ooh, look at the pretty colors” posts, though. Corneel: Sounds odd to me . Like saying that wheels are a function of a car. Well, I appreciate your input because there are cross links that are induced by the researcher and then cross links that could be natural. Your objection raised the issue whether the UNIPROT-reported cross links are God-made or made by the researcher in order to study the protein. I’ll have to check. Thanks for the input! This subsection of the PTM / Processing section describes covalent linkages of various types formed between two proteins (interchain cross-links) or between two parts of the same protein (intrachain cross-links), except the disulfide bonds that are annotated in the ‘Disulfide bond’ subsection. Interchain cross-links are involved in the formation of covalently linked protein complexes. Common cross-links include ubiquitin (and ubiquitin-like)(Ubl) conjugation, transglutamination, thioether bonds and thioester bonds. For each cross-link, we specify the name of the conjugate and the identity of the two amino acids involved in the ‘Description’ field. There is a strict controlled vocabulary for the description of cross-link types. Now is a good time to remind you that you have been accused of responding to requests for clarification by piling up more and more claims. Now you know why. Piling up claims? What about your implicit claims this can evovle without reasonable details. You could admit, “you don’t know,” but then I would ask, “so you believe without knowing, is that right.” That is FAITH, not knowledge. John Harshman: Such a nice guy. I suppose that if you had five kids, you would kill one of them just to show the others they weren’t so special. Well, I respect your disconcert and I don’t mean to minimize the suffering of children as I hear about childhood diseases a lot in my own family and in the literature. But I should point out, this is an “I don’t like the way things are, therefore there is no God” argument rather than an argument from evolutionary feasibility. I have made arguments that the structure of certain features are NOT evolutionarily feasible based on structural and functional and probabilistic considerations. stcordova: Piling up claims? What about your implicit claims this can evovle without reasonable details. You could admit, “you don’t know,” but then I would ask, “so you believe without knowing, is that right.” That is FAITH, not knowledge. What is “this”? You mentioned half a dozen different topics in three different proteins. That’s a Gish Gallop, Sal. Corneel: What is “this”? You mentioned half a dozen different topics in three different proteins. That’s a Gish Gallop, Sal. You apparently have issues with the multitude of FACTs evolution by common descent and random variation with natural selection must explain. C’mon where is your skepticism of a theory? You mentioned half a dozen different topics in three different proteins. Only 3 proteins! Man, there are 20,000 maybe in the humans with maybe a half-million alternatively spliced isoforms, maybe a buzzilliion across species if we tally up the orphans. If 3 out of a buzzilion is a Gish Gallop, surveying all the proteins in all creation of be a Gish Cavalry Charge! 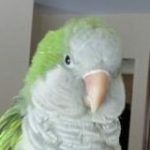 stcordova: But I should point out, this is an “I don’t like the way things are, therefore there is no God” argument rather than an argument from evolutionary feasibility. Nice way to dodge the issues. I note that your main response was to pile on a few facts you know (childhood disease, Darwin’s daughter), just like Corneel said. Sure it does. The absence of such complexity in this case, topoisomerase, leads to cell death, dead cells can’t evolve.End of story. No, it doesn’t. That the absence of the modification can result win death doesn’t mean that it always was required to avoid cell death. It just means that it’s required in some organism today. Please keep reading. There’s a reason there’s more paragraphs after this one! John Harshman: Nice way to dodge the issues. I note that your main response was to pile on a few facts you know (childhood disease, Darwin’s daughter), just like Corneel said. What issues? As in why God would create a nested hierarchy? This is akin to saying the statues on Easter Island aren’t designed because we don’t understand the intentions. The design arguments don’t rest on explaining the intentions of the designer. But yes some of your irrelevant points to the OP will be ignored by me in this discussion. The first problem is whether YOU think some of those domains are the result of common descent or some sort of functional convergence. I mentioned a couple domains like Zinc Finger or the Topo domains. You’re welcome to offer an opinion, that’s pretty much what any of us can do. The intentions of the designer aren’t the main focus of this discussion unless of course you think that has to be answered in order to say a promiscuous domain is the result of common descent rather than some sort of functional convergence, gene fusion, exon shuffling, random chance, whatever. It would be productive to talk about actual systems in detail, imho. I’ve put a few specific examples on the table. Why don’t you talk about those, since at least some of them are right there in the OP. A nice card would be sufficient. Apparently you’re not getting the message since you think you, a mere mortal, can do business better than God. Which God, your version is a bit of a dope if he falls for Pascal’s Wager. I guess mortality is God’s way of feeding the human race humble pie. neither is the New Testament God who sends people to hell. The Ghost and the Son seemed nice. If you were able to read or were interested in reading, you would know. The issue you were dodging there was your claim that death is all part of God’s plan to show us we aren’t so hot. As in why God would create a nested hierarchy? This is akin to saying the statues on Easter Island aren’t designed because we don’t understand the intentions.The design arguments don’t rest on explaining the intentions of the designer. You persist in being unable to distinguish common descent vs. separate creation of species from natural vs. created origins of novelty. It’s tedious to try to get you to see this every time. But yes some of your irrelevant points to the OP will be ignored by me in this discussion.The first problem is whether YOU think some of those domains are the result of common descent or some sort of functional convergence. So far you have mentioned few domains, mostly just the odd motif, and I don’t think you know what those motifs even are, how much they vary, or what function they serve, if any. Unless you actually make some kind of claim and support it with clearly relevant evidence, everything you say is irrelevant. And the OP is permeated with your confusion about common descent. I mentioned a couple domains like Zinc Finger or the Topo domains.You’re welcome to offer an opinion, that’s pretty much what any of us can do. So far, you seem unable to engage with the explanation of gene duplication followed by domain duplication within genes. What has to be answered, or at least dealt with, is the ambiguity in your claims, mostly due to the aforementioned inability to distinguish among radically different scenarios. The word “promiscuous” is not an argument. It would be productive to talk about actual systems in detail, imho.I’ve put a few specific examples on the table.Why don’t you talk about those, since at least some of them are right there in the OP. Examples of what? You first have to make a clear argument in favor of some clear scenario. Pick one thing and give an explanation of how you think it arose, along with an argument intended to convince us that your explanation is correct. Understatement. As you describe him, he’s an evil monster. And you worship that thing? stcordova: The intentions of the designer aren’t the main focus of this discussion unless of course you think that has to be answered in order to say a promiscuous domain is the result of common descent rather than some sort of functional convergence, gene fusion, exon shuffling, random chance, whatever. How about how the designer implements his design, off limits as well? Do you have to know how a computer is made to believe it is designed? No. Do you have to have the manufacturing details of a 747 to know a tornado passing through a junkyard won’t construct it? No. So, it’s not off limits, it’s just irrelevant. “God did it” seems a good enough answer for me. I just sent off some of my Topo studies to a Topo biochem expert who has studied Topo for a decade. He was impressed! At least someone who is actually a specialist in Topo is impressed with my work. That’s sort of why I don’t have the best attitude toward some of the criticisms I’m getting since they seem superficial and flimsy. I asked him about the crosslinking list of natural vs. experimenter induced (for research), and that will have to be examined carefully just for completeness. Thanks to Corneel for raising the question about whether cross linking is functional. To the extent it is natural, it is, it functions to provide proper folding and stability. And in your attempt to rebut a presumed appeal to consequences fallacy, you basically commit a genetic fallacy. Evolution can’t be right because Darwin potentially had personal motives that made it easier for him to accept it. Sorry Sal, we have to judge each case on it’s evidential and logical merits, not on who came up with it or why they would do so. There’s no amount of quotes or deathbed conversions that can make evolution false. It is either false or it is not regardless of people’s motives and emotions, and we have to determine that through the evidence and the use of logically valid reasoning, not through how much person X wishes for it to be true or false, or how much person X who advanced evolution hates religion or christianity. I have made arguments that the structure of certain features are NOT evolutionarily feasible based on structural and functional and probabilistic considerations. I must have missed this. Where have you made this argument? 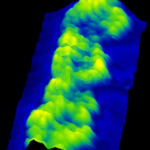 I just sent off some of my Topo studies to a Topo biochem expert who has studied Topo for a decade. He was impressed! At least someone who is actually a specialist in Topo is impressed with my work.That’s sort of why I don’t have the best attitude toward some of the criticisms I’m getting since they seem superficial and flimsy. Sorry Sal, but your arrogance won’t compensate for your illiteracy. It doesn’t work that way. stcordova: When is a theory not much more than just mere assertions of “it just happened that way” vs. a mechanistic description of why this is consistent with ordinary expectation of ordinary processes? Evolutionary theory is not much more than saying, “it happened by ordinary mechanisms because it just happened, JUST SO” That’s not a mechanistic theory. stcordova: Do you have to know how a computer is made to believe it is designed? No. Do you have to have the manufacturing details of a 747 to know a tornado passing through a junkyard won’t construct it? No. Congrats. This will be the new textbook example of a double standard for years to come. It doesn’t seem to work that well with you. You’re much more arrogant than illiterate, and your illiteracy is astounding already. Can you make some specific challenges here ? newton: Did you need revelation to be certain or would faith have been sufficient? I’m not sure if you are asking if certainty is necessary for salvation or asking if faith is a sufficient path to certainty? 2) no faith is not a sufficient path to certainty. newton: So the Black Death was necessary to impress upon mankind we need to be reliant on God and trust Him. Why the fixation on the Black Death? The fact that lots of people died of the plague seems to completely irrelevant to the topic of complete certainty verses faith. Am I missing something? newton: Well if uncertainty is what you require there is plenty. There is less uncertainty every day both with my wife and with God. In fact that ever decreasing level of uncertainty seems to be what makes for relationship for us temporal creatures. If I were totally certain of every thing about my spouse I’m not sure I could interact with her as a person rather than a cold machine. Did you understand why that’s a double standard? If Corneel claimed it , it is good enough for me. John Harshman: It’s true that any random group you make is better at being that random group than some other group is. But you’re the one complaining about circular reasoning? My grouping is not random. It is practical and obvious. In fact I would argue is more practical and obvious than yours when it comes to linking things that are readily observable at a glance for a nonspecialist so I’m not sure what you are talking about. John Harshman: The difference is that my preferred group isn’t dependent on picking only two particular characteristics and ignoring all the others. That is not true at all. I don’t ignore anything. I simply weight characteristics having to do with things like color, habitat and habit higher than things like relative size of vertebra pedicles. You choose to weight things like that higher than I do. That is fine but it demonstrates why these sorts of categorizations are inherently subjective. John Harshman: I’d say that it’s the inability of your choice to be supported by data that makes it subjective, and the fact that my choice actually has real support that makes it objective. What are you talking about? My choice can be supported by things like comparing colors and actual observations of the habits in question. Not only is the data for my choice available it’s indisputable. I don’t think anyone who has ever observed them in the wild would argue with the fact that grey foxes and grey squirrels and kolas are similar in color and all climb trees. John Harshman: Such a nice guy. Seriously? You would claim that it’s more obvious to link gray foxes and gray squirrels than it is to link red foxes and gray foxes, or fox squirrels and gray squirrels? Are you sure you don’t want to reconsider that claim? I will note that you are doing what you claim (wrongly) that I do: privileging one class of characters over another; and even within that class, the “observable at a glance for a nonspecialist” class, you are ignoring all but two characteristics, color and tree-climbing. That would be the first time for my rephrasing, which answered the only objection you had previously made. So: what do you mean by “general revelation”? You previously had not mentioned habitat, so it’s nice that you now seem to have three characters rather than two. The weighting is a red herring (sister group of a red squirrel) because you aren’t weighting anything; you’re considering only those three characters. And I, on the other hand, don’t weight anything and am willing to accept any characters, as long as 1) they aren’t chosen to fit a particular hypothesis and 2) you choose a fair number of them. In phylogenetics, noise tends to cancel noise, leaving any signal to show through. Then again, nobody who has ever observed them in the wild would argue that they should be classified together. The moment you start gathering more data than those two (or three) characters, your story breaks down. Whereas my story actually gains support as you add data. Big difference. I’ll bet that gave both you and Lewis a warm, tingly feeling. But it does nothing for me. How like a monarchist to say that Aslan must be good, because he’s the king. And it kind of dodges the whole baby-killing question, doesn’t it? John Harshman: I’ll bet that gave both you and Lewis a warm, tingly feeling. But it does nothing for me. I would not expect it to. Aslan did not aspire to universal popularity. He is not that sort of animal. John Harshman: How like a monarchist to say that Aslan must be good, because he’s the king. Aslan could not be the rightful king unless he was good. Monarchists are the folks who understand that Jadis’ apparent power is not a reason to call her the queen.